The holidays are a wonderful time of generosity, when we open our hearts and wallets to those we love, and sometimes, complete strangers. But in the legal industry, some litigants shy away from jury trials during the holidays, if for no other reason than to avoid a box filled with jurors who feel a tad indulgent. Civil defendants roll the dice each and every time they go to trial and risk of receiving a multi-million-dollar judgment. (Just ask J&J.) When it comes to money damages, defendants typically fare better when bleeding hearts are not seated on the jury panel – and this is true at any time of year. Failing to have some conversation with potential jurors about their views on lawsuits and damages could bite you on the backside. After all, should jurors deliberate and determine that money damages are appropriate, dollars will obviously be discussed. Voir dire is your one and only opportunity to up the odds of seating jurors who exhibit a healthy dose of skepticism and frugality, rather than blind faith and generosity. As the defendant, don’t you want a little Scrooginess on your panel? Our mock jury and post-trial interview data shows that a few attitudes about damages and lawsuit validity are fairly universal and merit some discussion during jury selection. The conversation doesn’t need to be deep, expansive, or even long. But it really should be woven into your outline. You can decide once you’re on your feet whether you need it or not. Effective voir dire boils down to implementing a planned strategy, having a purpose for each question, engaging the panel, and making the best use of your (sometimes very) limited time. Since it’s the holiday season and I’ve caught the generosity bug, I thought I’d share a few of my favorite voir dire strategies for finding Scrooge-y jurors in high-stakes commercial defense litigation. Our jury research and post-trial interview data indicate the majority of people feel that because a lawsuit makes it all the way to a courthouse and in front of a jury, it must be pretty darned valid. We all know that’s not necessarily true, but the general public seems to have that sentiment. And it’s pretty entrenched. If time permits, educate the panel that anyone can file a lawsuit by walking down to the courthouse and paying a filing fee. There’s no litmus test for determining whether the claims are truthful or supported by facts. In fact, if you so desired, you could walk downstairs, pay $30 or so, and file a lawsuit against McDonald’s claiming that its iced mocha coffee was just too cold and gave you such horrendous cold headaches that you lost your job for too many absences. The goal here is to learn if this filing process surprises anyone; if it does, he most likely assumed it was a more difficult process (and thereby gave more credibility to the party suing). It also allows you to plant a subtle seed that claims in a lawsuit are not necessarily all they’re cracked up to be. Ask jurors how they feel about lawsuit validity, but do so in a conversational tone. For example, “X, I’ve talked with a lot of jurors in my day, and I meet folks who tell me that my client must have done something wrong or we simply wouldn’t be here in court. Do you tend to agree with that?” Ideally, you’ve already pegged that juror as a possible strike and fully expect her to agree, so use her affirmative answer to invite others to agree with the juror – not you. “Y, do you agree with X?” (Yes) “How many of you agree with X and Y and have a gut feeling that because we’re here, my client probably did something wrong?” Boom. Potential strikes. Most attorneys talk about burden of proof and the magical scale of “greater weight of the credible evidence.” Here’s the deal: (1) very few jurors are going to admit in open court that they cannot (or will not) follow the judge’s instructions, (2) phrases like “greater weight of the credible evidence” are legal mumbo-jumbo to most in the venire. By the time a defense litigator stands up for oral voir dire, the judge and/or plaintiff counsel has already educated the panel on the burden of proof. There is absolutely no need to reeducate the panel, and by no means should you try to convince jurors that they are wrong. They feel what they feel. Accept it graciously and move on. Any juror who feels the burden of proof requirement is backwards, strange or just plain wrong is most likely a juror who will expect your client to prove why it’s not a wrongdoer… whether she admits it or not. If the case involves a well-known corporate defendant, the issue of “deep pockets” and “corporate greed” will be percolating in jurors’ minds. However – despite the need to weed these folks out – I do not typically recommend talking about these issues in oral voir dire (they are much better for a written questionnaire). If it’s an unusually big concern, we will typically discuss the topic in a more positive light (thus, planting seeds for our story) and focus on finding folks who don’t agree with our premise. People who are unhappy or dislike their current job. People who have little to no experience working in big business. People who think big businesses should just “pay some money” so everyone can avoid a lawsuit simply because it has the funds. When I’m consulting with a defense team, I often discourage counsel from spending too much time discussing monetary damages because plaintiff counsel usually does the job for us. Whichever prospective jurors the plaintiffs don’t like, we on the defense side typically do. Usually, we plan on asking some global queries and making assessments and adjustments as needed. Of course, each trial is different, and there are some cases, venues, and circumstances that merit a more in-depth discussion of damage-related issues. Here are a few questions we’ve used in recent jury selection proceedings. The matters included claims related to wrongful death, discrimination, breach of contract, manufacturing defect, and just plain negligence. You’ll notice the language is simple and the tone is casual: it is conversational and (hopefully) promotes a safe environment for honest feedback. Jurors will be more candid and vocal if they believe you are genuinely interested in what they have to say, and will accept their answer without judgment. Ultimately, jurors must believe your version of the facts. My preference is to focus the bulk of voir dire on discovering the juror attitudes and beliefs most likely to impact juror expectations of my client, and influence a juror’s willingness or resistance to embrace our story. I rarely advise my clients to strike a potential juror based solely on feedback related to perceptions about lawsuits or damages. But all things being equal, I’d much prefer a potential damages juror who exhibits attitudes consistent with my client’s story than a possible low-damages juror who seems resistant to our themes. Wouldn’t you? 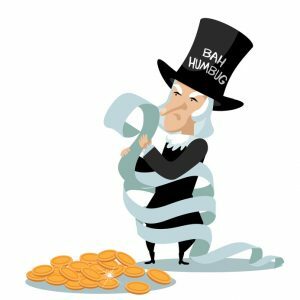 The post Finding Scrooge: Trial-Tested Tips for Seating a Defense-Friendly Jury appeared first on CourtroomLogic.